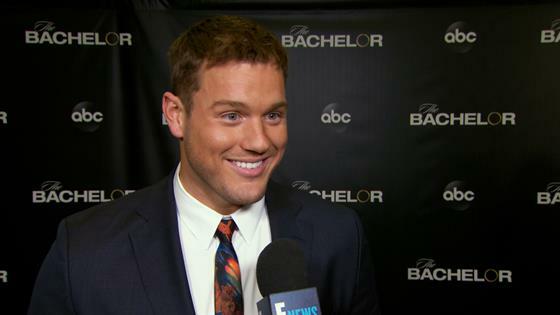 We're just hours away from the conclusion of Colton Underwood's season of The Bachelor. On Monday, viewers saw the first half of the two-part finale, with Colton breaking up with Tayshia Adams and Hannah Godwin. In hopes of reuniting with Cassie Randolph, who put an end to their relationship in a tearful goodbye last week, Colton told both Tayshia and Hannah that he "can't love two people." After watching the breakups, Colton reunited with both women on the live finale, attempting to offer them closure. The episode ended with Colton on a mission to win Cassie back, knocking on a hotel room door. Tonight, we'll see if Colton and Cassie end up together. But before the episode airs, we're looking back on more of the most dramatic season finales in Bachelor Nation history! Let's take a trip down drama lane with these buzz-worthy finales from The Bachelor, The Bachelorette and Bachelor in Paradise! At the end of season 13, Jason told Molly Malaney that he was "in love with somebody else." He later got engaged to Melissa Rycroft, but then decided that he changed his mind, ending the relationship with Melissa and getting back together with Molly. Though Juan Pablo chose Nikki Ferrell at the end of season 18, he didn't get down on one knee. Then on the After the Final Rose show, Nikki shared that Juan Pablo still hadn't said "I love you" to her. After proposing to Becca Kufrin on season 22 of The Bachelor, Arie Luyendyk Jr. decided that he had "a change of heart." Arie shared with Becca that he wanted to reconcile with runner-up Lauren Burnham, to which she replied, "Are you f--king kidding me?" The duo's relationship came to an end on the emotional season finale, with Arie and Lauren later getting back together. On the first half of the season 23 finale, we saw Colton end his relationships with both Tayshia and Hannah. The tearful goodbyes were followed by live reunions between Colton and Tayshia and Colton and Hannah, during which the women attempted to get answers about their respective relationships. The episode ended with Colton declaring to win Cassie back. On the season 13 finale of The Bachelorette, Rachel Lindsay and Peter Kraus had a tearful discussion about getting engaged. "I don't know what I want to do tomorrow, because that is one day that means the rest of my life," Peter told Rachel. After ending her relationship with Peter, Rachel went on to get engaged to Bryan Abasolo on the finale. During the Bachelor in Paradise season two finale, Kirk shocked Carly (and everyone!) when he decided to end their relationship. The tearful goodbye led to Carly immediately packing her bags and leaving paradise. Part two of The Bachelor's season 23 finale airs tonight at 8 p.m. on ABC.